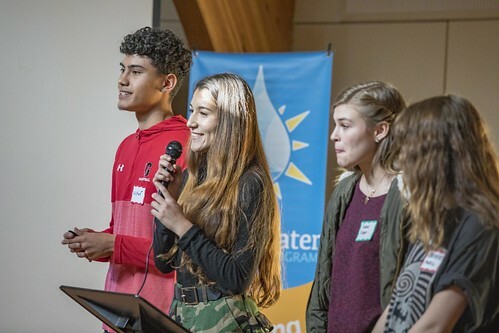 Wild Rose Education’s Youth Water Leadership Program™ mission is to create authentic student-centered learning experiences that increase watershed literacy through civic action. During 2018, the program reached 646 student contacts ages sixth grade-college in three program areas during 94 hours of experiential learning. Exciting growth occurred during 2018, the second year of this signature YWLP program. Hosting the CIRES Lens on Climate Change film making program, creating branding, convening the Summit Leader Team, mentoring senior capstone students, hosting a day long youth water summit, and employing a program intern significantly increased the program’s capacity and impact. In addition to the founding sponsor, Pitkin County Healthy Rivers, 10 additional generous financial sponsors made this expanded programming possible. Finally, utilizing the collaborative support of 20 partner organizations made this year’s YWLP more effective, meaningful, and fun. The Third Street Center 501(c)3 is the fiscal agent for the Youth Water Leadership Program. Wild Rose Education is joining the River Management Society (RMS) education team rolling out the new River Training Center in October 2018. The River Training Center vision is to be the leader of innovation, professional learning, and best practices for river professionals who study, protect, and manage North America's rivers. Wild Rose Education contributes expertise in adult education, training strategies, and river education techniques to the development of this new training and certification program. The RMS River Training Center hosts the first Instructor Certification Orientation Workshop in conjunction with the Wild, Scenic and Beyond! River Management Symposium in Vancouver, Washington with a half day workshop October 22, 2018. Sarah Johnson has recently been selected to serve the North American Association for Environmental Education's eePro community as a moderator of the Guidelines for Excellence Group. She will grow the online community of practitioners and leaders in environmental education sharing resources, discussing and asking questions about how members are utilizing the Guidelines for Excellence and other innovative best practices that incorporate the Guidelines and professionalize the field of EE, and celebrating the excellent work members are doing across North America and beyond. All are invited to join the free eePro professional platform hosting a wide spectrum of environmental education interests. Upon creating a free account, you can join as many eePro groups as you'd like. Sarah is co-moderating the professional community alongside Bora Simmons and Renee Strnad who are all three members and leaders in the Guidelines for Excellence Trainers Bureau.